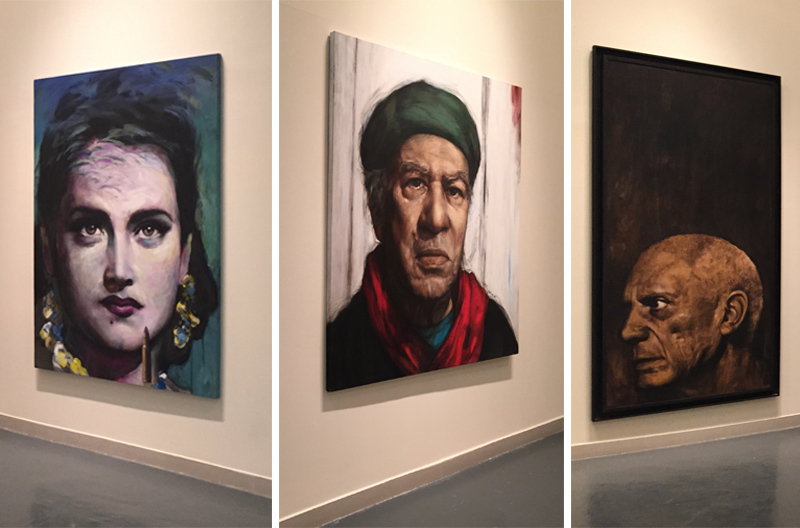 Capsule Arts headed over to Sharjah the other day to catch the Emirates Fine Art Society’s 33rd annual exhibition, the longest-running art event in the UAE. This year's edition includes over 100 artworks by 36 GCC artists, including several artists who feature in our limited edition print collection. Mahmoud Abbod, Abdelgadir Hassan Elmobark and Mohammad Al Qassab all showcased bold new works, which in the cases of Elmobark and Al Qassab show a new direction in their artistic practice. You can buy affordable art prints of their work from www.capsulearts.com. The show acts as a significant reference point for the growth of art in the region and each year sees a new curator taking over. This year, it is the Emirati artist and gallery owner Mattar Bin Lahej. See some of the highlights in the picture gallery below. The exhibition runs until April 8 at Sharjah Art Museum.